Move your ticket sales closer to the goal line when you advertise in advance with Football Purple Flyers. 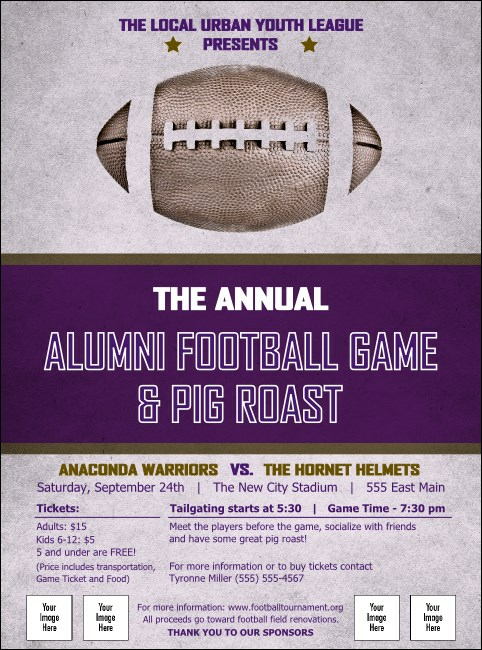 Each fine Flyer gives you space to upload four of your own unique images on a newsprint background with a bold purple stripe and a picture of an old pigskin. Shout out your sponsors by adding their logos right onto your Flyers! TicketPrinting.com helps you kickoff your promotions.